Graphical User Interfaces for commissioning, controlling and programming our products. 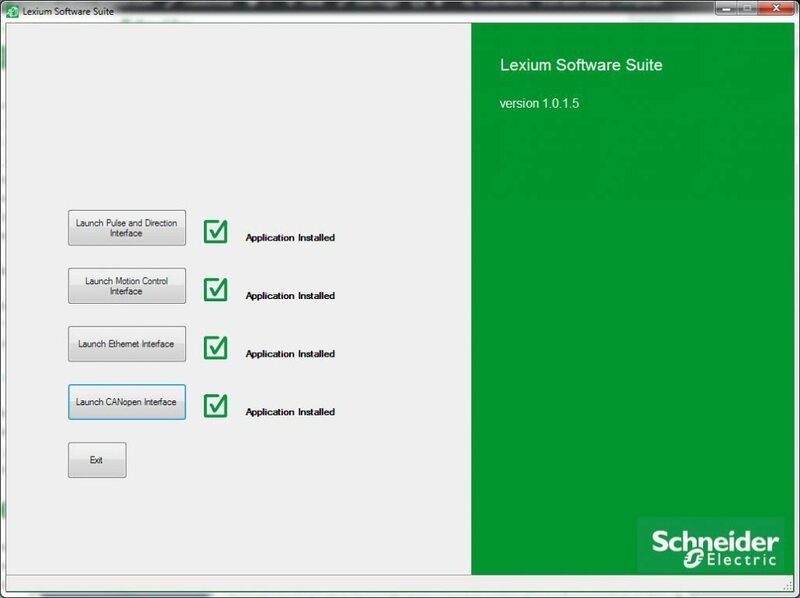 Installation wrapper for the tools and utilities available to program and configure the Lexium MDrive and Motion Module products. Pulse/direction Interface: Used to set the configuration parameters for the Lexium MDrive Pulse/direction products. Features basic and advanced modes. Ethernet TCP/IP Interface: Required to select the IP address and subnet mask, and to load an industrial application: Modbus/TCP, Ethernet/IP or Profinet IO. 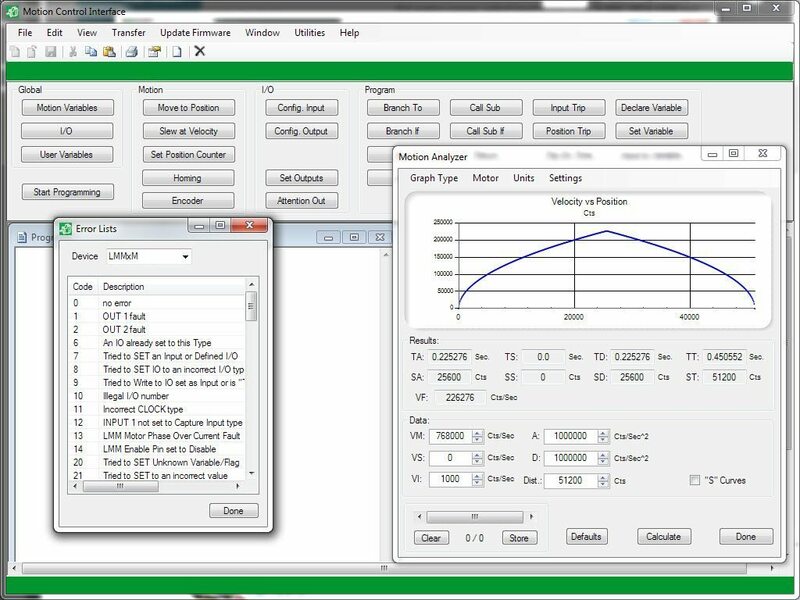 CANopen Interface: used to set the NODEID and BAUD on Lexium MDrive and CANOpen Motion Module products using the MD-CC501-001 or compatible PEAK/Phytec CAN adapter. Not required as all SEM CANopen products fully support CiA DS305: Layer Setting Services for commissioning the product. Integrated ASCII program editor and ANSI Terminal emulator. For use with MDrive and MForce Motion Control products. SEM Terminal is the next generation of the SEM Terminal program enhanced with advanced features and functionality. For use with MDrive and MForce Step/direction and Speed Control products with an SPI communication interface. Update to improve compatibility with x64 Windows operating systems. Replaces IMS SPI Motor Interface 3.1.70. For use with MDrive units with an Ethernet communication interface. Required to configure the IP address and subnet mask. Includes a terminal emulator for MCode/TCP, a PDU entry dialog for sending MODBUS/TCP commands and Assembly object mapping tool for EtherNet/IP. For use with MDrive and MForce CANopen units with a CANopen communication interface. Use of this tool requires the MD-CC500-000 USB to CANopen converter cable.